It [is] too much the way of [mainstream politicians] to talk of this terrible [crisis] as if it were the only harvest ever known under the skies that had not been sown—as if nothing had ever been done, or omitted to be done, that had led to it—as if observers of the wretched millions…and of the misused and perverted resources that should have made them prosperous, had not seen it inevitably coming, years before and had not in plain words recorded what they saw. Working people in Flint, Michigan are suffering mightily from the poisoning of the city’s water supply that resulted from callous decisions by government officials—from the unelected emergency city manager, on up to the governor and the federal Environmental Protection Agency. All of these officials acted in the name of austerity and cutting costs. But as is so often the case, the tragedy in Flint is not merely the result of individual bad actors but flows from an economic system that pits the wealthy few at the top against the vast majority who work for a living. Despite the fact that global wealth and U.S. labor productivity per capita have both been increasing exponentially for more than a generation, the small unelected handful of financiers and industrialists that own and control our economic and political systems—the so-called one percent—have been promoting the narrative that times are hard and we must all tighten our belts. By “all”, they mean everyone except those “indispensible” titans of capital who are presently calling the shots. But in reality, the wealth created for each man, woman and child in the U.S (as measured by GDP per capita) increased from $13,933 in 1981 to $54,629 in 2014 (in constant 2015 dollars.) That’s an increase of 292 percent! For Tunisia, the increase in the same period was 244 percent; for Greece it was 300 percent. Similar gains can be cited for other countries. (Source: World Bank) Collectively, the planet is awash in wealth. Nevertheless, the false narrative of scarcity has been used to justify austerity in Greece, Spain, Portugal, Ireland, France, elsewhere across Europe and all throughout the U.S. And now we have Flint. Between 2006 and 2013, overall revenue to the state of Michigan decreased by 25%. Since 2006, Democratic and Republican officials have appropriated $6.2 billion in local sales tax and other revenue to cover state budget shortfalls. This has been done despite a law requiring those funds to be shared with municipalities. The result was predictable: city after city across the state—from Pontiac, to Lansing, to Detroit and Flint—has had to cope with calamitous budget deficits. What caused the decline in revenue? In part, it was due to corporate tax giveaways approved by the previous Democratic governor. But the biggest factor in the budget squeeze has been the decline of the auto industry. From a peak of 1.5 million United Auto Workers union members in Detroit in 1978, the number crashed to 400,000 in 2013 as corporate execs moved production south or overseas in search of cheaper, nonunion labor. Then there was the auto industry bailout. In 2009, the federal government loaned $29.4 billion to GM and Chrysler on the condition that the UAW agreed to allow delays in payments to the union health fund for retirees, reduce payments to laid-off workers and deepen the two-tier wage program enabling new hires to be paid less for the same work. Later, GM would receive another $36 billion as it entered bankruptcy. At its peak in 2003, the U.S. auto industry employed 1.1 million workers. By 2006, 43% of those jobs had been eliminated. Flint, with long ties to the auto industry, has felt the squeeze. Of the 80,000 Flint autoworkers in the 1970s, only 5,000 remain. A Michigan state law passed in 2011 allowed for the appointment of “emergency managers” to preside over cities deemed insolvent. Once appointed, the emergency manager rules supreme. Elected officials—including the mayor, city council and school board—can do nothing without the manager’s approval. In April of 2014, the bureaucrat that was imposed on the city of Flint switched the city’s water supply from the Detroit system to the Flint River, hoping to save a few bucks. What resulted was a massive epidemic of lead poisoning, due to the different chemistry in the Flint River and a long history of using the waterway as an industrial waste dump. A September study by the Hurley Medical Center in Flint confirmed that the proportion of Flint children with elevated lead levels has nearly doubled since the water source was switched. The tap water drawn from the river also contains illegal levels of cancer-causing trihalomethanes and other toxins, and is implicated in the spread of Legionnaires Disease. A massive effort will now be needed to restore clean running water to Flint residents and to deal with the long-term health effects from the poison brew people have been forced to use for drinking, cooking and bathing for over a year. No auto executives or members of the ruling rich were harmed in the making of this story. The Michigan localities that have suffered the most are majority working class and black. The population of Flint is over 56% African American. Forty-one percent of city residents live in poverty, and the real unemployment rate for Michigan is over 11 percent. In this conflict so far, it is working people who have taken all the blows. But it wasn’t always that way. Given Flint’s iconic history, it’s more than a little ironic that the current crisis has its roots in the greed of the auto industry giants and their political plenipotentiaries. A generation ago, another battle was fought in Flint between the auto barons and the working class majority. In that fight, which began in December of 1936, the balance of power was decidedly different. The United Auto Workers union (UAW) was founded in 1935 in the wake of a militant labor upsurge that began sweeping the country the year before. Key battles in Minneapolis (truck drivers), Toledo (Electric Auto-Lite), San Francisco (general strike), Akron (rubber workers), and Huntsville, Birmingham and throughout the south (textile workers) set the tone. But the big automakers had yet to be breached. Fortunately for the success of the CIO, the concepts of the top CIO leaders did not always prevail. The strident notes of the class struggle broke through the “class harmony” chorus and set the dominant tone during the decisive days of the rise of the CIO. The bridge to victory proved to be not the conference board, nor the inside track to Roosevelt in the White House, but the picket line—above all, that “inside picket line,” the sit-down. An ongoing organizing drive in the Flint auto plants was met with stonehearted resistance by General Motors. The straw that broke the camel’s back came on December 30, 1936 when management provocatively transferred some union supporters. Workers at Flint Fisher Body Plant 2 responded by sitting down and refusing to leave the factory. Later that night, workers saw managers attempting to remove critical machinery from Fisher Body Plant 1. The workers at Plant 1 put a stop to that by sitting down as well. The shutting down of these two plants brought GM’s auto production to a screeching halt. Victory or defeat for the GM workers depended on a simple strategy: keeping their buttocks firmly planked on $50 million worth of GM property until they got a signed contract. GM’s strategy was to get the workers out of the plants by hook or crook so that the police, deputies and National Guard could disperse them by force and violence. The bosses hit the strikers with injunctions, but the sheriff charged with delivering the first of these was laughed out of the plant. The company attempted to recruit scabs to retake the plants, but soon gave that up. Management cut the heat to Fisher Body Plant 2 and police attempted to prevent deliveries of food and supplies to the strikers. Outside, picketers stormed the police blockade. A battle ensued; police guns were answered by bolts and bottles hurled by the workers. Eventually, the strikers aimed a freezing stream from a fire hose at the cops, successfully turning them back. When the dust settled, twenty-four strikers were injured; 14 had been shot. Politicians, from the Democratic Governor to President Roosevelt, sided with GM. The Governor positioned 1,500 National Guard troops to be ready to retake the plants by force. Meanwhile, fellow unionists poured into Flint from Toledo, Pittsburgh, Detroit, Lansing, and elsewhere, and formed a cordon of solidarity around Fisher Body Plant 1. GM threatened to turn the heat off again, but the strikers threatened to expose the plants firefighting equipment to the cold, freezing the gear and thus invalidating GM’s insurance coverage. Management was livid and demanded that the Governor give the order to retake the plants. Governor Murphy passed the buck and tried to pressure CIO President John L Lewis to reign in the strikers. Lewis explained, truthfully, that he hadn’t started the strike and he couldn’t stop it. In the end, GM surrendered. The strikers had demonstrated sufficient determination and ingenuity for GM to realize its plants would be destroyed if they tried to remove the workers by force. The first UAW contract with GM was signed on February 11, 1937. The working people of Flint won that monumental battle in 1937, but the corporate titans have never given up on the overall war. This is the critical context for the Flint crisis of today. The forces seeking to victimize working people in Flint now are the same ones that confronted autoworkers in Flint three quarters of a century ago. Those seeking to fight against austerity and mount an effective response to the current water crisis can learn much from that pivotal chapter in history. Today, as in the 1930s, it’s crucial to understand who is on our side and whom we’re up against. At the second convention of the UAW in 1936, the body unanimously called for the formation of a labor party. It’s no coincidence that the workers who successfully fought back the GM colossus understood that the Democratic and Republican parties were both in the boss’s hip pocket. This realization was essential for navigating the rough terrain as the struggle unfolded. But by the late1940s, those who preached class collaboration and relying on the Democrats as “friends of labor” had gained the upper hand. 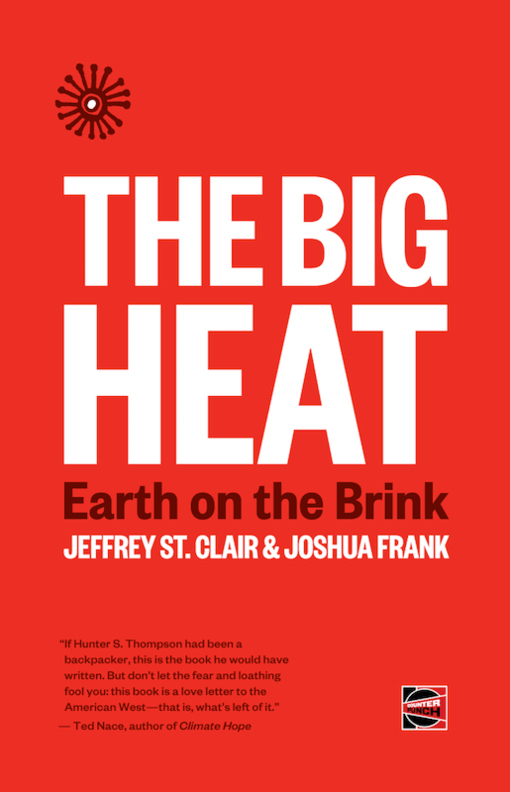 Socialists and other radicals who, like the Flint sit-down strikers, recognized the major political parties for the big business appendages they truly are were driven out of the labor movement and isolated. Unions like the UAW turned their back on the lessons of the Flint sit-down strike. As a consequence, the UAW is a mere shadow of its former self, reduced in numbers and diminished in power. Throughout its steady decline, UAW leaders have held fast to their class collaborationist outlook. The results of this approach can be seen in scattered, broken pieces all around us, including in Flint. Today, Democratic and Republican party politicians shed crocodile tears, expressing the utmost regret for the calamity that has befallen Flint. But their concern rings hollow. These are the heirs of the politicians who mobilized the press, the police and the National Guard to side with GM and the other corporate behemoths in the labor upsurge of the 1930s. These are the political parties that have been running our country for generations, with the result being what we see in Flint and all around us. Witnessing the suffering of the residents of Flint, it is no exaggeration to say the Democratic and Republican parties, along with the system they uphold, represent a deathtrap for working people. But there is a way out. There are steps we can take to avoid future disasters like the one now unfolding in Flint. This path serendipitously addresses many of the other problems we face—from endless war, inequality and exploitation, to racism, unemployment and environmental destruction. This road has just one rule: human needs must come before profits. And there is but one way to get there: by recognizing that only working people—the vast majority of the population and the producers of all of society’s wealth—have the power to build a just and rational world. For that power to be realized, we must organize collectively and independently of our foes at the top of the economic pyramid, refusing to be taken in by their lieutenants in the Democratic and Republican parties. While no fight is ever an exact blueprint for another, the guiding principles of solidarity and independent political action, demonstrated in abundance by the heroic Flint sit-down strikers, remain essential tools for the struggles of today. Bruce Lesnick is a long-time political activist who lives and writes in Washington State. He blogs at blogspot.com. He can be reached at brucielesnick@gmail.com.